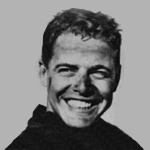 Augie Pabst Jr. is a sports car racing legend from the 1950s and early 1960s. Augie won many races and two national championships during his career, and drove legendary cars such as the Birdcage Maserati, Cunningham, Lola Coupe, Ferrari, and the Meister Brau Scarab. Augie Pabst had a highly successful career that included the 1960 SCCA B Modified National Championship in a Scarab and a 1959 USAC championship. He drove both a Maserati and a Jaguar XKE for Briggs Cunningham. He drove one of the original three factory Corvette Grand Sports at the Nassau Speed Weeks in 1963. In the 1963 USRRC championship he won two races in a row at Castle Rock and at Road America. He was a team driver for Harry Heuer in the Meister Brauser Scarab. He later purchased the Scarab he drove in 1958 and maintains it today for vintage racing. Though not a direct heir to the Pabst brewing fortune, he is a cousin and worked his way into an executive position with the brewery due to his ability, not through an inheritance.